It is not uncommon to lose car keys in a multitude of ways since these are very small and can easily sneak into tight spots. About two decades ago, it was easy to get a copy of a lost car keys from a locksmith or a car spare parts store. Unfortunately, this was also one of the reasons why cars were easily stolen then. 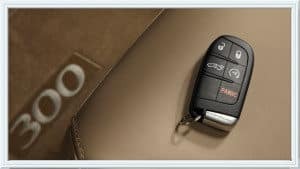 Today, car keys are now the digital and computerized kind and are seen to be a main security measure of a car. However, when these are lost or damaged, the replacements are more costly than before. things that you will have to know why it costs so much. First of all, this is in San Diego where labor costs for car repair can run up to about $75 per hour. Back in the day, the only unique feature car keys have is its shape. There were no codes to protect it. The thing is since these keys are just differentiated by the cuts and spaces in between, these were easily copied and used to carjack vehicles. To have a duplicate copy done, the locksmith then only needed to have a key cutter which he can also use to copy other keys. A basic set of Chrysler replacement key San Diego normally costs $3 when done by a locksmith. The only one advantage that you will have when you have your keys replaced at the car dealer is that you get to have the car’s logo printed on it. In the cars today, one of the more important features that one can find in a set of keys is the remote fob. Dealers would definitely charge a premium for a replacement of this type of car keys. However, at 7 Day Locksmith, the cost of having these replaced is much lower. 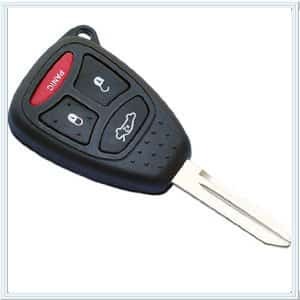 Fob keys are a programmed set so if a replacement is needed, re-programming must be done. The re-programming part usually comes without any charge. Then there is also a manner of re-programming the key set by pressing a combination of buttons located on the remote control. When done right, the key goes into the ignition and turns it on. Our company will gladly show you how to do this. Just give our company a call and we will show you how. The new millennium brought in a new type of key. This is the type where transponder chips were placed on the head of the keys. These heads were made out of plastic. This chip sends out sensor signals that go to a receiver in the ignition chamber. If the right key is placed inside the chamber, the car will start. However, if it senses the wrong signals from the wrong chip, there is no way that the car will start thus keeping it safe from car thieves There are two types of transponder keys, basic cut and laser cut. Whatever the case is, if the car key gets damaged, you will have to have it replaced. The question is who do you rely upon to have this piece of rather complicated key set replaced by. The thing is that a transponder key has to be programmed before it is able to start a vehicle. 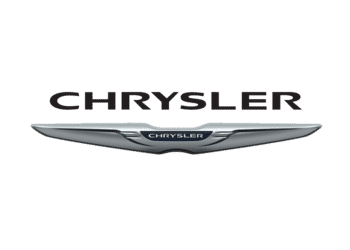 Chrysler replacement key San Diego will definitely be able to do this for you. Especially in cases of emergency where you are stranded in the middle of the night. 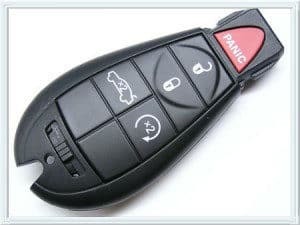 Your worries will definitely fade knowing that San Diego Locksmith has the technology and ability to program a replacement for your transponder key set. So it does not matter if you damage your keys in the middle of the night and in a remote place in San Diego, we will send out our technicians to help service you. Depending on the type of damage, the programming may come free or with a little charge. This is why transponder keys are no problem for us. There are some transponder keys and fob that are rolled into one. Programming such type may cost a bit more than the usual but this is something that only the best locksmiths can replace. based on the original key’s codes. If you do not know the code, you can most definitely find it in your car’s user manual. But if worse comes to worst and the manual does not have the programming code in it, you can simply visit the dealer’s online site and check it out. Or you can punch in related keywords to help you search for it. It is true that it is a big hassle to have your keys lost or damaged. Maybe the worse damage is to get a part of your car key in the ignition which would require ignition lock repair or broken key removal. The most and the best that our company can do for you is to lessen the stress that you are feeling by servicing you and providing you top quality service and a reliable and sturdy type of key replacement that will not be easily damaged. No matter what type of key it is, our technicians can and will handle all the stress for you.